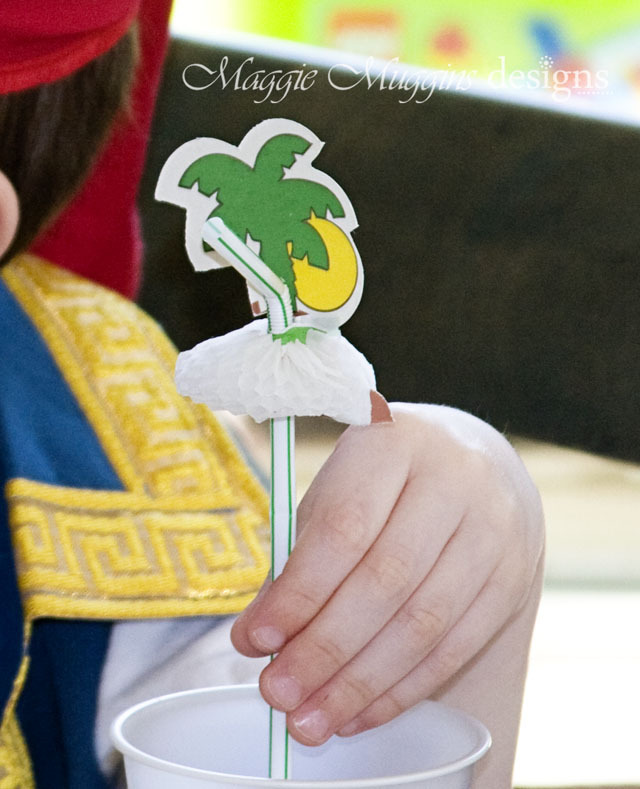 As I prepared for my little one's Jake and the Never Land Pirates Party, I found inspiration all over Honestly, I even made a board on Pinterest for Pirate Parties, and collected my inspiration there. That made it so much easier to keep track of my ideas. For the food I kept in mind that the kids were 4 years old. It's hard for them to focus on eating when they are so excited to play together. So we had a simple table set with fruit and made Pirate Pizza. 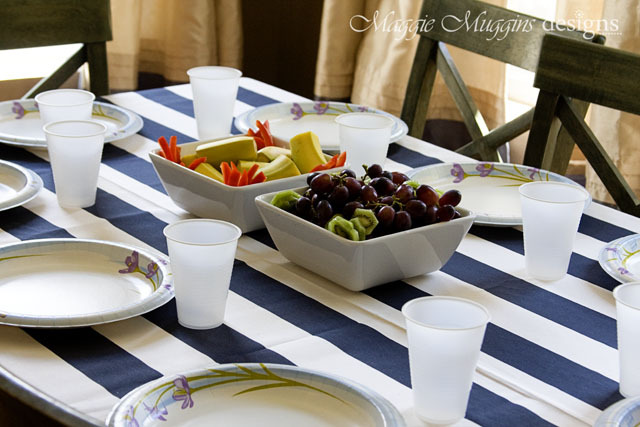 The table cover was just two yards of striped fabric from IKEA. It set the mood perfectly, but without overwhelming the kids. I paid the extra amount to have quality fabric so I could use it again. 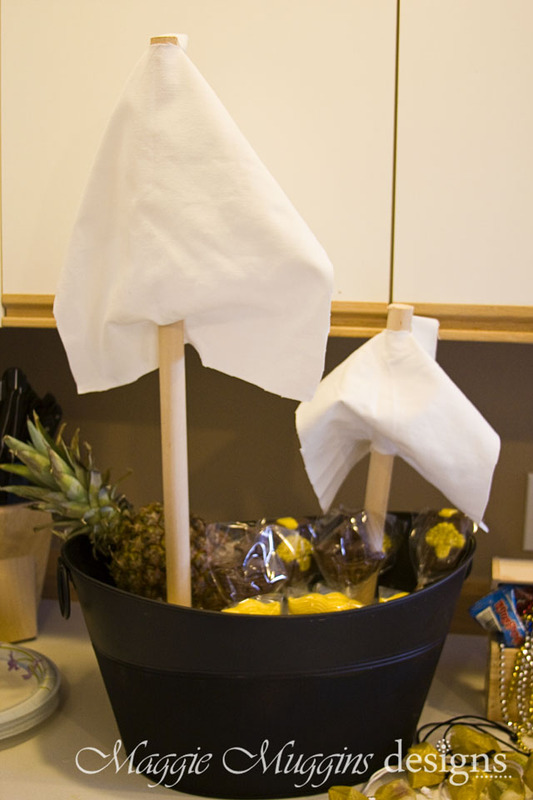 It will look great on our patio table for summer BBQ's. 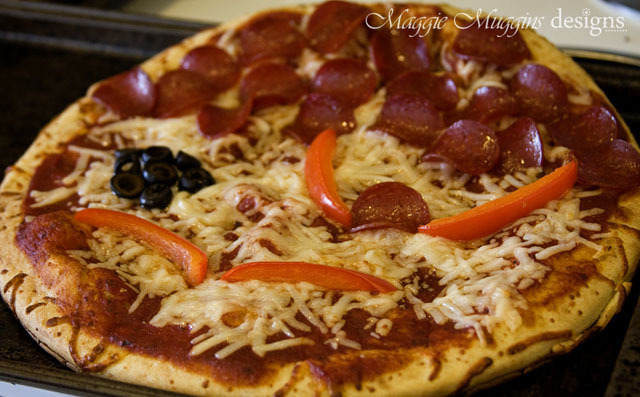 I found a few different versions of the pirate pizza, but I kept it simple. I think it still turned out cute. 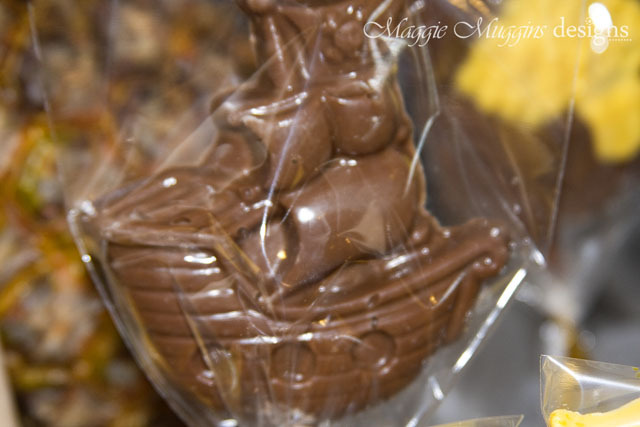 Pirate Ship and Treasure Chest Chocolate Pops in a Pirate Ship. That's it for the food. I kept it fairly simple. It was good, the kids ate a little bit, but honestly they were way more excited to play pirates and have fun then eat. There is a lot more to show you from the party though, so check back soon!